Guaranteed complete with nothing clipped. This comic has been professionally graded by an established comic shop and assigned an Overstreet grade level of 9.0 (very fine/near mint). Picture shown is of actual book and not a file photo. 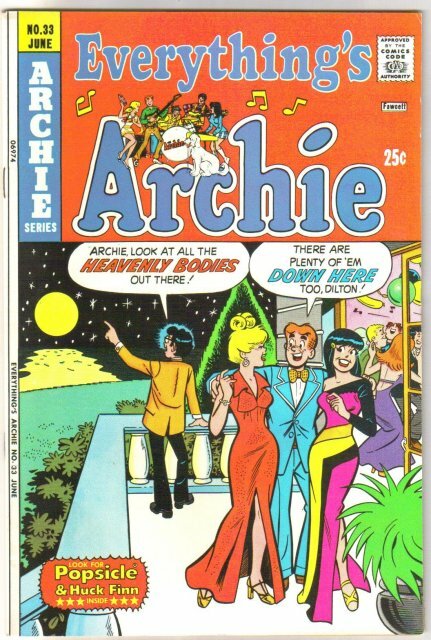 Items Similar To "Everything's Archie #33 comic book very fine/near mint 9.0"